You did a really nice job capturing this scenic view. Amazing shore, quite different from the ones I am used to. The capture of waves against the rocks are super. Definitely not the place to land a boat !! Lovely rugged shore scenery ! 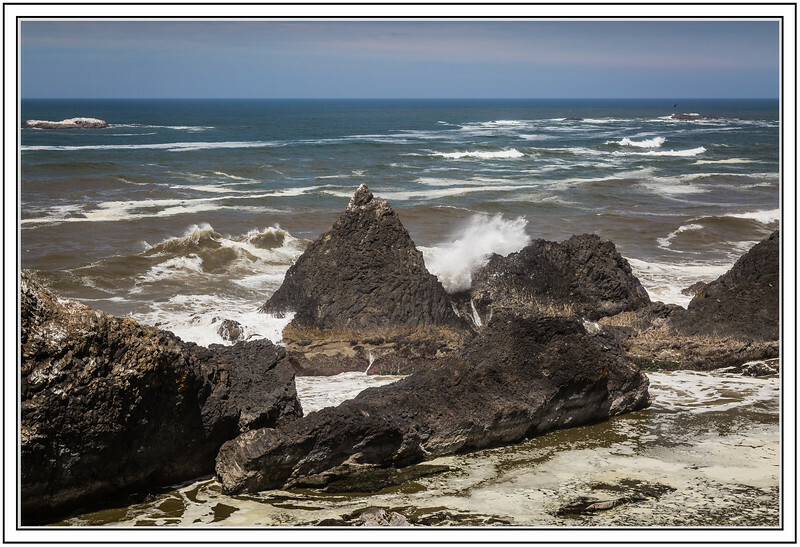 Another great Oregon coastals--the rough surf seems to be kicking up a lot of sand.